Anyone working with Kodachrome scans without adjusting the scanner to the special film properly knows the problem of the unsightly bluecast. Some scanner manufacturer's software may have a Kodachrome mode for selection, which usually isn't very helpful because a specific calibration device is lacking. It needs a color calibration with a Kodachrome target to avoid the bluecast problem completely. Unfortunately Kodak stopped producing Kodachrome Q60 targets in 1999. 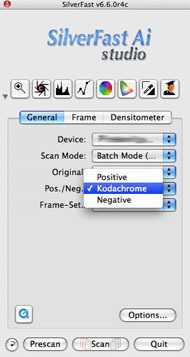 Therefore we have implemented generic Kodachrome ICC-profiles for many supported film scanners in SilverFast 6.6. This is a good starting basis. For really colortrue results it needs a scanner calibration, and therefore, LaserSoft Imaging is offering special Kodachrome targets since the beginning of 2009. If you are interested, please contact our sales team (sales(at)silverfast.de). 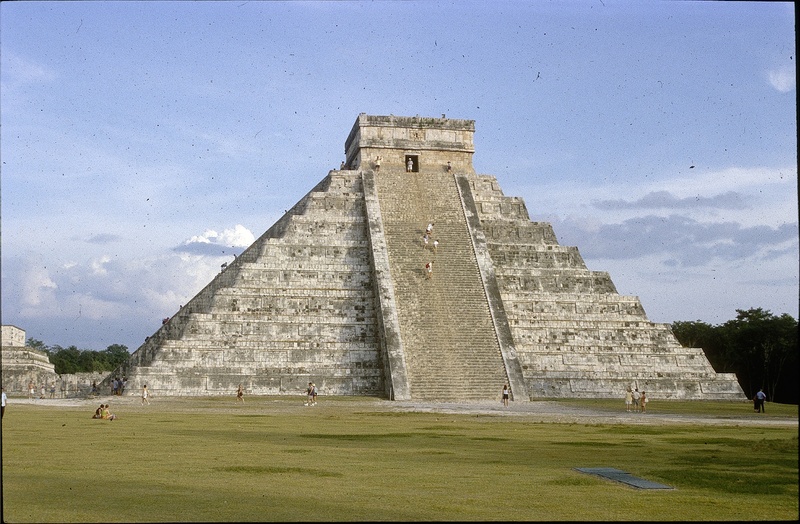 Example images: before and after SilverFast Kodachrome profiling. Scanning Kodachromes with attention to recording the complete Dynamic Range is a considerable challenge. This, because the Dynamic Range reaches up to 3.8D - which is a grayscale range of 6300 shades and equals a contrast range of 1:6300! Fortunately SilverFast Multi-Exposure can handle the enormous Dynamic Range with film scanners. This guarantees reproduction of the deepest shades inside Kodachromes successfully. Ordinary dust and scratches removal tools (such as ICE) fail with Kodachromes, because the film emulsion is very different than normal color films. The combination of advanced SilverFast dust and scratch removal functions SRD® and iSRD® on several layers and masks guarantees dust- and scratch-free Kodachrome scans. Download your free SilverFast demo version now. * Note:Please verify that your scanner supports the SilverFast Kodachrome features before buying. SilverFast Multi-Exposure® (for enhancing the Dynamic Range) and iSRD® (infrared Scratch and Dust Removal) are hardware-dependent features. Kodachrome profiles are not included in the SilverFast SE version, but are included in the SE Plus version.